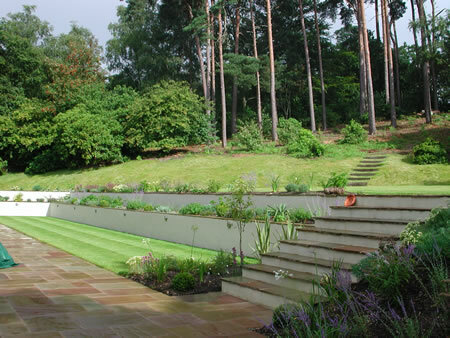 A steeply banked garden rising to woodland has been landscaped to maximise the space around the house. 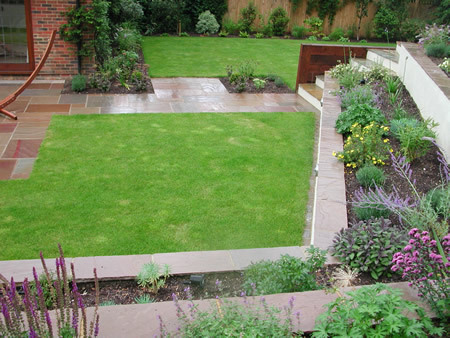 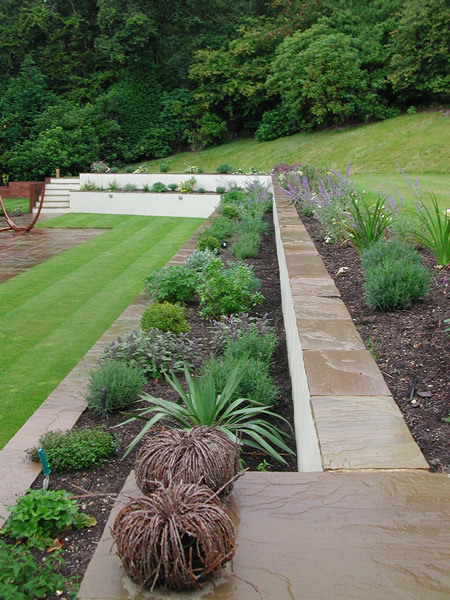 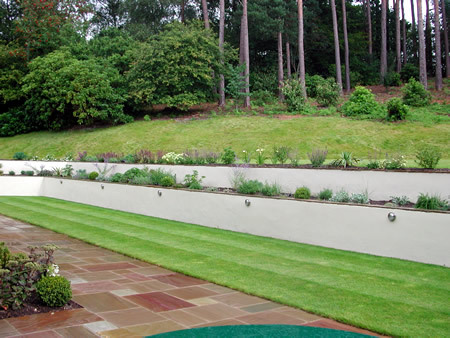 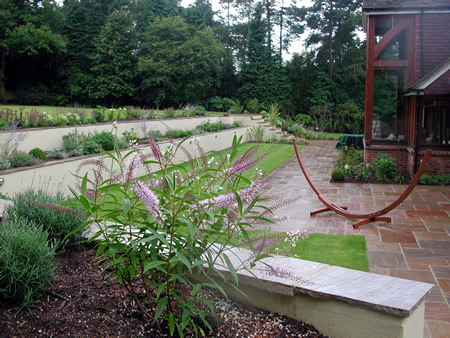 Sandstone paving and lawn at ground level extends as far as possible into the steep bank which is contained within two split level retaining walls. 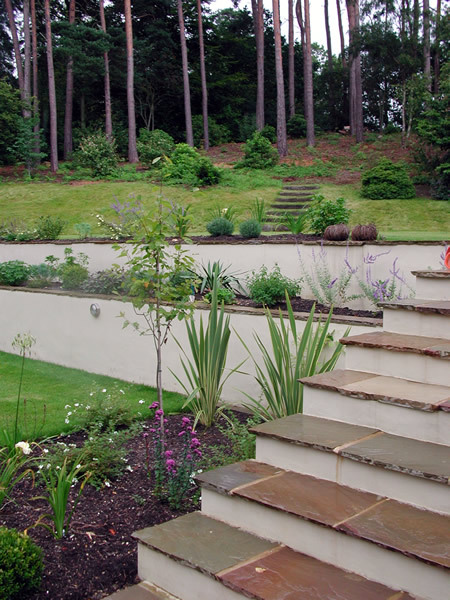 The terracing creates a graduated effect and a well scaled interface between the house, garden and woodland beyond.